More than 50 percent of the town's annual budget goes to cover education costs. First Selectman Michael Tetreau has proposed a budget of $286,715,615 for 2014-15, an increase of 2.96 percent over the current spending package of $278,465,591, which would require a 2.67 percent tax increase. The proposal, which will get its first airing at a joint meeting of the Board of Finance and Board of Selectmen at 7:30 p.m. Tuesday in the Education Center, includes an $800,000 cut to the Board of Education's $157,022,051 request. The current town operating budget is $85,503,506, with $15,156,253 for retiree benefits and $26,614,186 for debt service, while the school board budget is $151,022,051. Right now, the tax rate is 23.93 mills. "In putting together this budget, I have done my best to consider the many diverse needs of our community," Tetreau stated. "Everyone wants a low tax increase. Everyone also wants top-quality services that provide maximum value for their tax dollars." 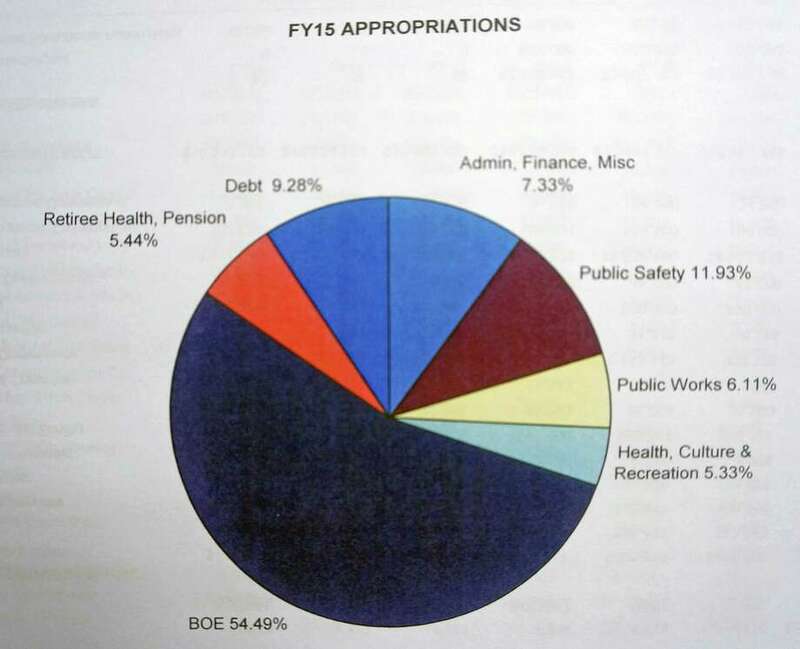 Tetreau described his spending plans -- the budget that wins final approval takes effect July 1 -- as fiscally responsible in meeting the town's needs, including fully funding the recommended contributions for employee pensions and retiree medical benefits. The budget also includes a $500,000 increase for senior tax relief. The small 0.41 percent increase in the grand list of all taxable properties last year, Tetreau said, shows the local real estate market has not fully recovered. "Our non-tax revenue is showing improvement, but is still much lower than in past years," he said. "This means any increases in expenses are primarily funded by an increase in tax revenue." The proposed budget will be reviewed by the selectmen, the Board of Finance and the Representative Town Meeting over March and April, with the final mill rate to be set in May by the finance board. The entire budget can be found online at fairfieldct.org.